Proposition 2 asked the Utah electorate to determine whether patients in the state should have legal access to medical marijuana. On Tuesday, voters answered with a yes. Unofficial election night totals put the initiative ahead, 53 percent to 47 percent, and showed the measure with a commanding lead in Salt Lake County. Although a number of ballots remain to be counted in the weeks to come, medical cannabis patients and advocates were smiling Tuesday night. At a watch party hosted by TRUCE Utah, Prop 2 supporters cheered, clapped and shed tears as the first results rolled in showing the measure with a clear lead. Stenquist told the gathering of more than 100 at a Salt Lake City hotel that Utah’s decision to create a medical marijuana program will reverberate far beyond state borders. “When Utah flips, the whole country will be watching, and you all did that,” she said, gesturing to the backers clustered around her. To some, the vote seemed largely symbolic, since top lawmakers are busy constructing a different model for delivering medical cannabis to Utah patients. State legislators were expected to overwrite Prop 2 if it succeeded at the ballot box and approve their own cannabis act if it failed. Others say the initiative still serves an essential purpose by pressuring the Legislature to act. Either way, the emotionally charged decision on medical cannabis captured the attention of Utahns and helped drive them to vote — in a poll released in October, 1 of 5 respondents credited the marijuana initiative as the primary motivation to participate in the election. DJ Schanz, director of the Utah Patients Coalition, early Tuesday evening said this momentum seemed to be behind Prop 2. “We’ve always felt that there was a dynamic in this race that hasn’t been polled, which is the motivation factor and enthusiasm gap that we feel favors Proposition 2,” he said at the coalition’s celebration. About 9 p.m. Tuesday, The Church of Jesus Christ of Latter-day Saints issued a news release emphasizing its support for relieving human suffering and its concern for the welfare of children. Utah’s predominant faith argued that Prop 2 failed to strike a balance between these considerations. “Our expectation is that prompt legislative action will address the shortfalls of the initiative which have been acknowledged by advocates of Proposition 2. The legislative alternative is better public policy and has broad support among Utahns,” Marty Stephens, the church’s director of community and government relations, said in the release. Connor Boyack, founder of the libertarian Libertas Institute and a key player in negotiations over the cannabis bill, said the initiative’s success could smooth the way for medical marijuana advocates as they look to approve a program through the Legislature. Gayle Ruzicka, who opposed the initiative as a member of Drug Safe Utah, said public confusion played a significant role in the Prop 2 vote. Many people conflated the initiative with the legislative proposal and didn’t fully understand either, she said. Initiative supporters pointed out that patients could procure the medicinal plant only at a doctor’s recommendation to treat select ailments. In Utah, after several failed legislative attempts to bring a comprehensive medical marijuana program, advocates decided to try a different tack. Led by the Utah Patients Coalition, supporters collected nearly 154,000 valid signatures from across the state, well above the number they needed to put Prop 2 up for a popular vote. That was just the first hurdle for proponents. Then came the legal action that unsuccessfully attempted to block Prop 2 from the ballot. And while the initiative’s popularity numbers soared in the polls, the opposition camp grew to include some of the state’s most powerful voices. Gov. Gary Herbert came out against the measure, saying it was flawed and would open the door to recreational use. The LDS Church also objected to Prop 2 and urged members to resist the initiative. The Utah Medical Association helped organize opponents into the Drug Safe Utah coalition and honed the group’s message, and wealthy Utah businessmen Walter J. Plumb III and Kem Gardner stoked the anti-initiative movement with hundreds of thousands of dollars in donations. 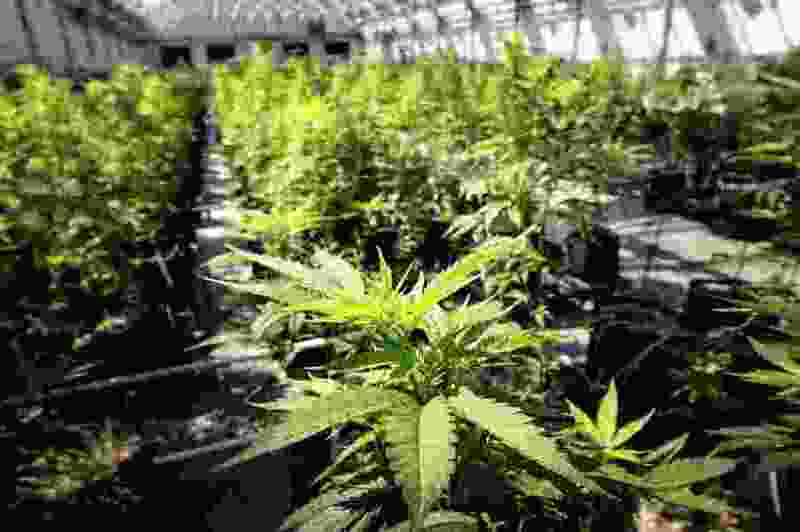 On the other side, Utah Patients Coalition collected big checks from the Marijuana Policy Project and Dr. Bronner’s Magic Soaps, a California-based company that uses hemp oil in its products. House Speaker Greg Hughes, R-Draper, has said the table was set for an exceptionally ugly campaign season that would divide communities over Prop 2. To defuse the brewing battle, Hughes and representatives from the Utah Patients Coalition and Drug Safe Utah began meeting behind the scenes a few months ago to see if they could find common ground. In early October, Herbert, state leaders, Latter-day Saint authorities and other key figures in the medical cannabis debate revealed they’d coalesced around an alternative to the Prop 2. Their plan centered on a piece of legislation — the Utah Medical Cannabis Act — that lawmakers would take up in a special session after the election.